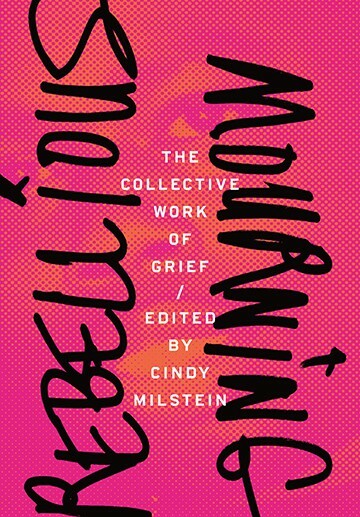 The appallingly truthful sentence above comes from a new book of essays I’ve recently been reading off and on, called Rebellious Mourning, a collection edited by Cindy Milstein, and published by AK Press with the subtitle The Collective Work of Grief. The book is full of beautiful and powerful texts and I can’t recommend it highly enough. The essay in which the sentiment Claudia Rankine is expressing appears commemorates Michael Brown, Tamir Rice, Eric Garner, and Emmett Till, all victims of harsh racial violence in the United States. 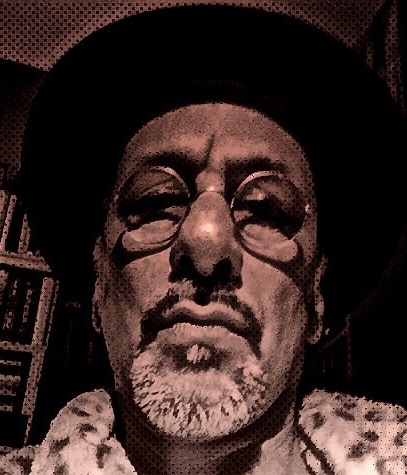 The essay also pays an equally deep homage to honor and recognize the grief of their mothers, the parents of these children, who have been living witnesses whose recognition provides a response to the vast and profound sleep-walking obliviousness and indifference of a surrounding larger society that struggles, but cannot yet be sufficiently roused by identification with the enormous communal and individual grief of these families and communities to put an end to the brutal violence here directed at our brother, our sister, our cousin, our nephew and niece, and our children. In another essay in the book, “Rages of Fukushima and Grief in a No-Future Present”, this fact is echoed by Sabu Kohso and Mari Matsumoto, as they discuss the obstacles to a confrontation with the Japanese state over the mass violence and death brought about by the Fukushima nuclear disaster. The main obstacle, they explain, is “a massive obliviousness to the devastating situation” which, soon after March 11, 2010, “settled in, allowing for the continuation of business as usual.” Among the many culprits responsible for this failure of recognition – corporate interests, disaster governance that scapegoats and casts the victims aside, and more – the most emphatic for them is misdirected, politically motivated “nationalist empathy” – sentiments of the nationalist right which immediately short-circuited mourning, demanded the rapid industrial and commercial reconstruction of Fukushima, and which is now a lethal undercurrent in a state that is directed to militarization, exacerbating regional tension, and thereby masking the disastrous threats and increasingly precarious hold on life of millions of its directly-affected people. These essays drive home the necessity of helping ourselves to address those structures and persons who have harmed us by collectivizing our grief , not nationalizing it. Official attempts to direct the people of Japan to patriotic, flag-waving unity, when a sector of powerful interests had indeed issued an environmental assault on a generation, siphoned energies that ought to have been directed at challenging and changing the structures that dominate, rather than giving space to piousness or petty outrage against those who protested the lax response of the state. This pressure to conform to that which no one should conform to exacts a heavy price, not only from the people of Japan, but in a wider swath of environmentally threatened life as well. Collective resistance to the Japanese state’s lying, cover-ups, and policy of pacification, did engender some collective relief. But it fell far short of its goals under pressure, losing the war, leaving far more Japanese suspended in precarious lives, and in denial of the dangers which persist. There is much more to the story of Japan’s nuclear disaster, and its national deference to official indifference to the lives of its people, particularly its children. These horrors are not and should not be confused with freely-made choices of the people of the country. They are rather choices made by the agents of national actors to suppress and subject the people to the will of profiteering ruling classes and their partners in the United States and around the world. The point I raise today, is simpler. The same indifference and instrumentalization of real, living persons must be understood to be the profound decision of Japanese and American partners in the on-going deprivation, dispossession (extending all the way to murder) of children and vulnerable persons in the U.S.A. and Japan. This absolutely refers to and includes our abducted children. The methods differ in detail, but the induced collective sleep-walk is comparable. We have to rededicate ourselves to relieving our kids, cousins, loved ones and unknown neighbors to our care. If we cannot keep trying to reach the collective empathy of our fellow parents, all children of mothers, all persons who care for others and are in need of care, then we fail. It’s late, and I can’t say more tonight. This post is dedicated with love to my son, Rui, who is now celebrating his 12th birthday and his 7th consecutive birthday without knowing how strongly his daddy and his American family loves and misses him. How much do I long every day to hold him as close in life as I hold him in my heart! Few have an idea of those fathomless depths. But we continue to sing out to be heard. Here is a song I recorded for Rui last week. With apologies and gratitude (of course) to Dante, Canto #1. Thank you, Brian, for providing us a way to think about grief as it exists in a collective sense, and for showing us the heartfelt expression of one father’s love for his son. What a beautiful song! Wistful, poetic, full of lovely imagery. I hope Rui finds it before too long. Thank you. I want it to be possible for him to understand what I want it to say to him.